In recent months, we have seen Beaverton experiment with the timeless Cortez silhouette quite a bit. We have seen Nike rid the model of its Swoosh branding, we have seen extra Swooshes added to its upper, and we have seen its heel logos completely re-worked all together. 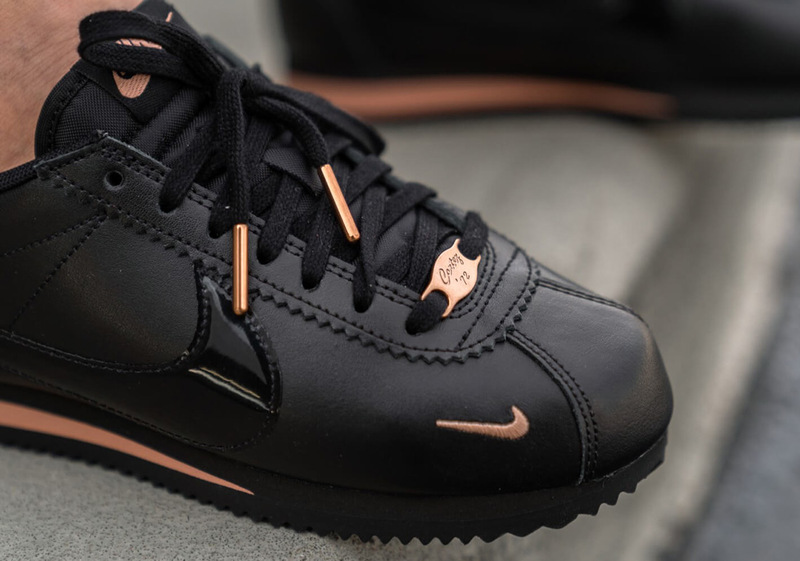 Most recently, the dual-Swooshed version of the Cortez hit retailers in a ladies-only color scheme that combines hits of Black leather with monarchial Rose Gold hits on embellishments the likes of its aglets, lace dubrae, and more. 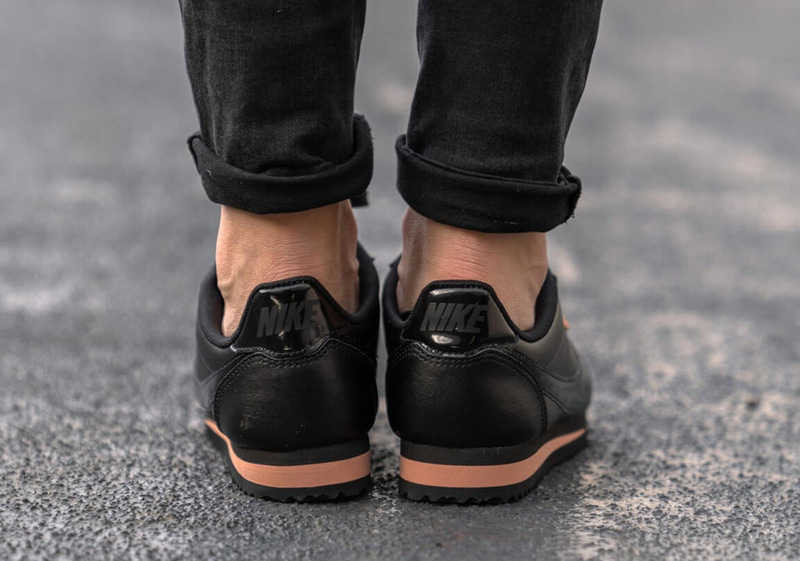 Backed by celebrity endorsements with big names like Kendrick Lamar and Bella Hadid, the rugged outsole-equipped icon will continue proving its staying power in an ever-adapting market. 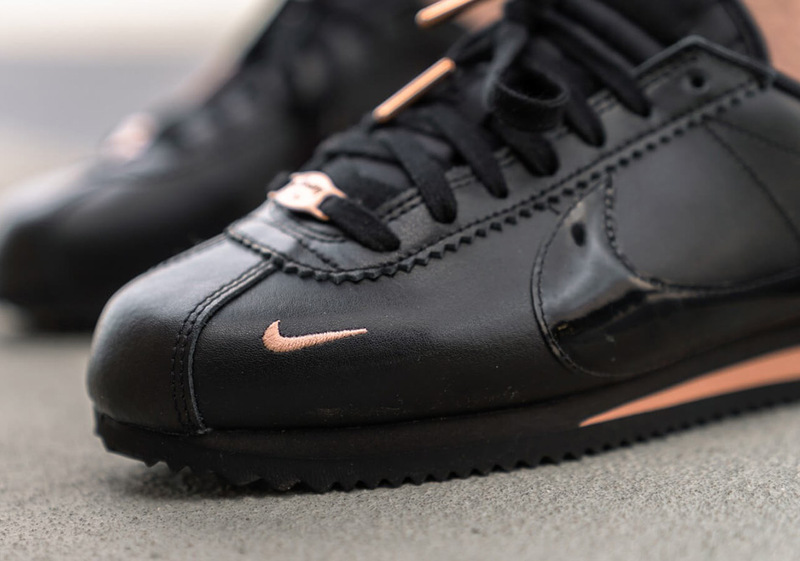 Enjoy a detailed look at this feminine Cortez creation below and head over to the retailers listed here to add one to your collection. 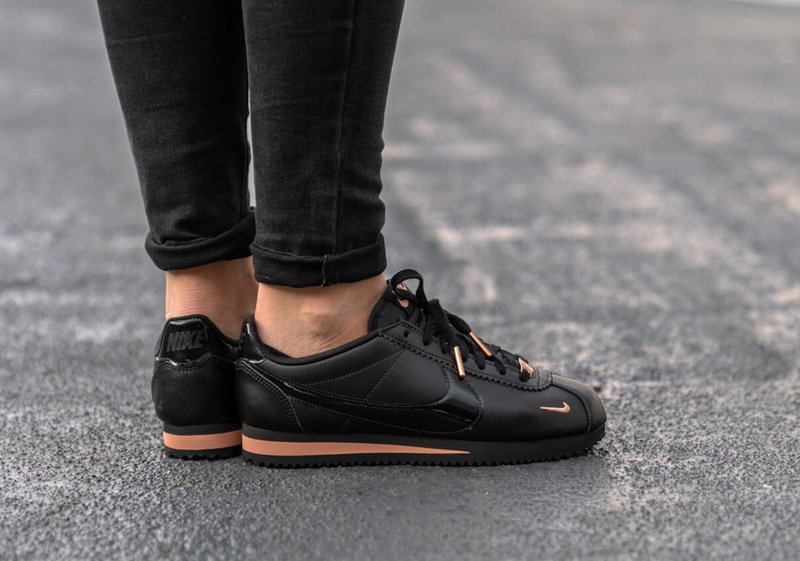 The post Nike’s Double-Swooshed Cortez Is Back In Black And Rose Gold appeared first on Sneaker News.